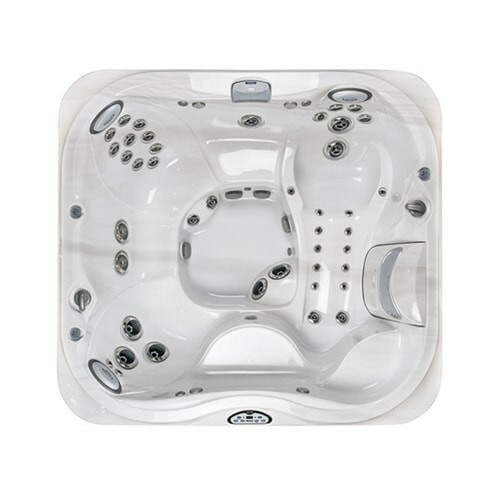 The Jacuzzi® J-355™ Hot Tub has room for up to six adults, including a longer lounge seat. With plenty of PowerPro® Jets, including LX Jets, this model provides excellent hydromassage. LED lights in the footwell and a relaxing waterfall top off this great spa. In addition to finding the perfect tub, choose spa accessories to further enhance your relaxing experience. Browse our hot tub covers, steps, stools, and other add-ons to complement the hot tub of your choice. J-300 spas are warranted against water loss due to defects in the spa shell for ten years from the original date of purchase. 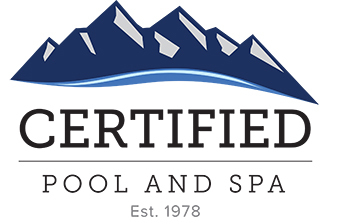 J-300 spas are warranted against blistering, cracking, or delaminating of the interior surface of the spa shell for seven years from the original date of purchase. J-300 electrical equipment components – specifically limited to the pumps, heater, and control system – are warranted against malfunctions due to defects in workmanship or materials for five years from the original date of purchase. J-300 plumbing components are warranted against leaks due to defects in workmanship or materials for five years from the original date of purchase. J-300 spas’ ProEndure™ synthetic cabinets are warranted against defects in workmanship or materials for five years from the original date of purchase. Normal wear and weathering of the finish will occur naturally over time, and are not defects. The fuses, headrests, cabinet finish, and filters are warranted to be free of defects in workmanship or materials at the time of delivery. The factory installed CLEARRAY® Water Purification system is warranted against malfunction due to defects in workmanship or materials for one year from the original date of purchase, except the UV-C bulb and quartz tube. The UV-C bulb and quartz tube are warranted for ninety (90) days from the original date of the spa purchase. All stereo related components (receiver, speakers, subwoofer, stereo media locker, power supply, wireless remote control, etc.) are warranted against malfunction due to defects in workmanship or materials for one year from the original date of purchase. All other factory installed components not mentioned specifically, including, but not limited to the wood frame, jets, diverter valves, LED Lighting systems, filter shield, and mechanical components are warranted against malfunction due to defects in workmanship or materials for two years from the original date of purchase.